This beautifully designed top quality 3 piece Winnie the Pooh Cot/Cot bed bedding bail completes a nice and cosy sleeping area for your little one. 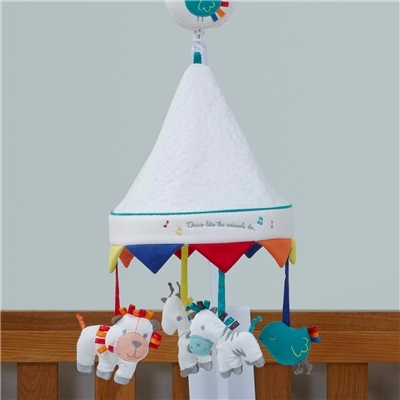 This deluxe rotating musical mobile features Zoobaloo's fun jungle characters and a vintage-style quilted canopy in lovely bright colours. Your baby will love the soft and cosy Zoobaloo quilt, which features our fun jungle characters. 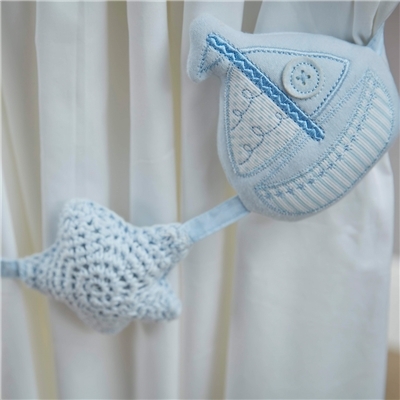 With gorgeous blue crochet stars and a stunning little boat design, these Vintage Blue curtain tie backs will create a playful yet cosy feel in your little boy's nursery. Our fun Zoobaloo curtain tie-backs complete the jungle nursery theme perfectly. Featuring Zoobaloo's lion, zebra and giraffe, the tie backs create a fun theme for your child's bedroom. It’s important for you and your baby to get a great night’s sleep to enjoy the next adventure in your lives the next day, and the key to a good night’s sleep is comfortability. This is why we provide your baby with cot bedding that will be comfortable for them, to ensure a wonderful sleep, and if baby sleeps well, you sleep well too. 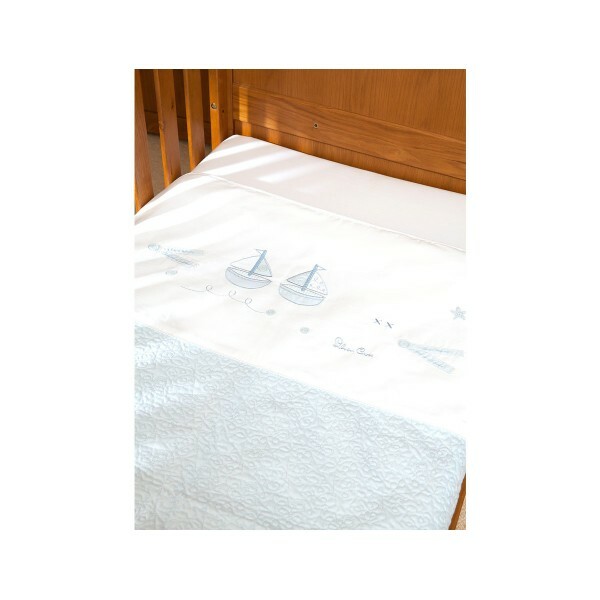 We have wonderfully soft cot bed quilts, such as the Silver Cross Cot bed quilt, which is the perfect thing to buy when you are shopping for the young one. We understand that as new parents, it is vital that you and your baby get lots of sleep, so a comfortable cot bed is definitely necessary, but this cannot be complete without comfortable cot bedding. Shop some of our gorgeous cot bedding to match the décor of the room too, so you get amazing style without having to compromise on functionality! Don’t miss out on giving your baby the sleep that they deserve, shop cot bedding with Affordable Baby today.